2016 Presidential Elections: Matata Ponyo Mapon Would Be an Opposition Candidate? No one would have predicted the divorce between Vital Kamerhe and his former political party, the Parti du Peuple pour la Reconstruction & la Démocratie (PPRD). Vital Kamerhe is among the co-founder of his former political party and an influential cadre who were seemingly appreciated by his colleagues. For his confidence and admiration, he managed to occupy upper level functions within the DRC political arena as well as into the PPRD. He has been a secretary general of PPRD and Parliament Speaker (low chamber) since 2006 till he resigned in 2009. 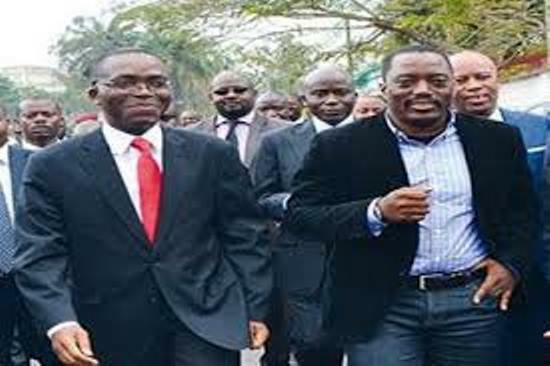 It was until 29th March 2009 that Congolese society got informed that the former President’s right-hand had resigned from the Parliament Speaker to the extent of initiating his own political party, Union pour la Nation Congolaise. As politics is unpredictable especially within the specific context, currently, Vital Kamerhe is viewed among the main challengers of the incumbent president. 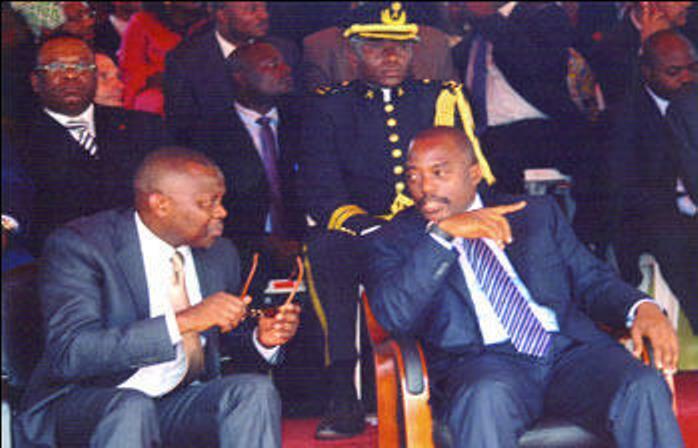 In 2011, the former ally of Joseph Kabila has run for the presidency alongside with the latter. Subsequently, when interpreting his engagement to occupy the privileged DRC State House, observers may even be suspecting that the divorce may be related to the fact that Vital Kamerhe had been considering to be the potential successor. In case the assumption might be closer to the reality, it expresses how politicians play their games down while having wide intentions. The blogger thinks that, though the viewpoint might not be the right one, intention of becoming a head of the state won’t be excluded from hypotheses. Back to the 2016 elections, the blogger considers that the milestone remains a stumbling block for many politicians in DRC. It constitutes a point of breaking friendship up for the sake of keeping positions. The mostly affected political group would be the ruling party, PPRD. Some signs have already been evolving, showing a likely splitting up mood for the interest of standing in good position towards 2016. The splitting mood may even be deteriorating in a near future as the public still waits for the confirmation of who is running for the account of the ruling party. The break up will inevitably be shaking the leading class of the ruling party as well as other political parties. Consequently, an advised reader wouldn’t rule out the scenario of a probable divorce among the ever allies among key leaders. Thus, even the current Prime Minister of the so-called National Cohesion Government Augustin Matata Ponyo Mapon might be one of them. The Title of this post intends just to calls readers’ attention of how 2016 elections will become so heating. 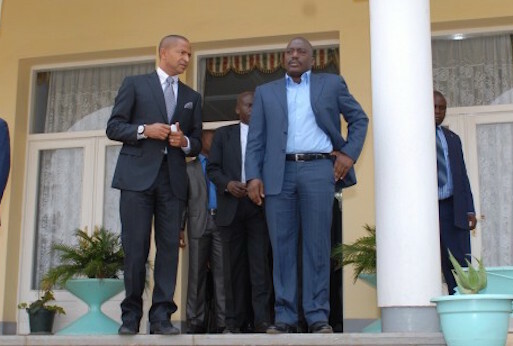 Even though the PM would remain loyal to President Joseph Kabila, it is expected that others would flee in any case of the announcement of who runs for the account of PPRD. The post doesn’t constitute any confirmation of Matata’s leaving the ruling party, but a snapshot of the recent political context in DRC and what can we spot about Matata’s future. Augustin Matata is a strong and hardworking PM who managed to improve the DRC image for the macroeconomic achievements during the last few years, since he got appointed. These achievements still lack an aspect of being inclusive as the country has countless poor people. The exacerbating factors of poverty are the absence of clear mechanisms of preventing corruption and illicit enrichment of public officials. Therefore, he had to work had on this aspect to get the country moving smoothly; while reducing inequality. Following the current political context in Congo Kinshasa, few clues may express that the impossible could happen soon. The man with a likely ‘orange tie’ may surprise the public as did others who, for a while, have been showing their loyalty to the incumbent ruling party. Back to the macroeconomic achievements of Matata Ponyo, it looks sometimes that these are unlikely credited to someone else rather him. While exercising his duties as an appointee under the elected mandate of Joseph Kabila, Matata remains on spot. He has been able to prove his competencies into the macroeconomic domain; though his appearances may be interpreted as a political show that could backfire. Whether or not his public appearances may intend to prepare his political career, Matata Ponyo is the likely PM who mostly had been making several public appearances as compared to his boss. Therefore, the political manoeuvers may suspect something unusual in him and try to restrain it. It is also possible that some of his admirers can still suggest him to go further. Therefore, the interpretation on one way or another can harm to those planning to also going further as he might be thinking. Matata is recognized to be well ‘secured’, though it may cost a lot of money from the public funds. His convoy is composed by roughly 7-10 vehicles. At one point, it sounds unclear why a PM would be using as much as 10 jeeps when travelling within the same city which is approximately safe. However, he is not the sole to do so despite the cost of maintaining these transport facilities (vehicles) while ordinary people are starving with hunger and poverty. Nonetheless, this may not constitute a concern when analyzing his future political career with regard to PPRD. Nevertheless, it tells a lot for the understanding of the argument discussed from the previous paragraph. This, It is up to the reader to dig deeper for understanding what is behind these huge mechanisms of protection which in turns worsen the traffic jam in Kinshasa. So long as you’ve never been caught for hours into the Kinshasa traffic jam, considering how costly it’s; it may sound as stupid to raise the jam question in this post and how convoys of Ministers, Generals make it bad. This week, the PM attended the 55th independence anniversary in Matadi. An observer would have realized that he looked “unhappy or amazed”. While the mood was likely different among the attendees of 55th independence anniversary, some were happiest and other were likely feeling as internally glooming for unknown reasons. There is probability of specifically relating the mood of Matata to the so-called Luzolo Bambi denunciation of some public officials. The denunciation was in the first place called as an accusation (prosecution or charge) of people who are suspected of mismanaging the public funds through embezzlement and corruption. The complaint from the President Special Representative Luzolo Bambi ends up by being called a denunciation handed to the General Prosecutor for suspecting public figures close to Matata Ponyo. Some indiscretions have been telling that suspected figures were provincial governors from Katanga, South-Kivu, both Kassai as well as the former Cabinet Director of the President. Few days later, the accusation changed the name to become a denunciation and the leaked documents have largely concentrated to these public officials closer to the PM Matata. Consequently, the Matata mood cited above could be expressing that climate as it may also be deeper than that so long as rumors have pointing out that there is a possible misunderstanding among political figures closer to the president. Few hours ago, the PM had seemingly initiated a type defensive/offensive explanation, through public conference.